Hybrid laptops that fold into to different positions are as popular as Transformers these days, so it’s not surprising that Sony is introducing its own take on the laptop-tablet combo. Today, the company announced the new Vaio Flip PC line of hybrid notebooks, which will be available in 13-inch, 14-inch, and 15-inch models. There’s nothing shabby about this new line, which includes niceties such as a full HD 1,920 x 1,080 Triluminos display, a solid-state drive standard on the 13-inch model, and a hybrid hard drive standard on the 15-inch one. What’s Sony’s method for making the Flip enter tablet mode? If you guessed it involves “flipping” the screen, then you’re correct. The Flip PC line includes a second hinge that horizontally bisects the lid. Slide a switch along the bottom of the display bezel and the screen is released, allowing you to flip it back on the second hinge and prop it up at a comfortable angle. Unlike convertible displays that twist, the Flip allows for a more adjustable placement angle – especially in full tablet mode. Plus, that extra hinge will presumably give the display more rigidity when it’s used in presentation mode. While two sets of hinges might seem heavy, the Flip line stays light, with the 13-inch model weighing 2.6 pounds, and the 14-inch and 15-inch weight 4.2 pounds and 4.6 pounds, respectively. Sony hasn’t released the full specs on this new line yet, but we do know that all three will feature 4th-generation Intel Core processors plus optional Nvidia graphics on the Flip 14 and Flip 15. Likewise, while we know the Flip 13 will pack a solid-state drive, we don’t know how big of drive will be included with the most basic configuration. The same can be said for the hybrid drive on the Flip 15, which utilizes a small SSD coupled with a larger traditional hard drive. We know the Flip 14 is available with a hybrid drive, but there’s no word on what kind of drive the base version of the 14-inch will have inside of it. Sony is also teasing us with the news that some models will feature an ultra high 2,880 x 1620 resolution with 4K HDMI output. Though the company hasn’t specified which models will get the extra pixels, it’s clearly designed to give the Retina MacBook Pro’s a run for their (or your) money. The Flip line of notebooks will be available in both black and silver aluminum and will feature full-sized keyboards with gesture-enabled trackpads. 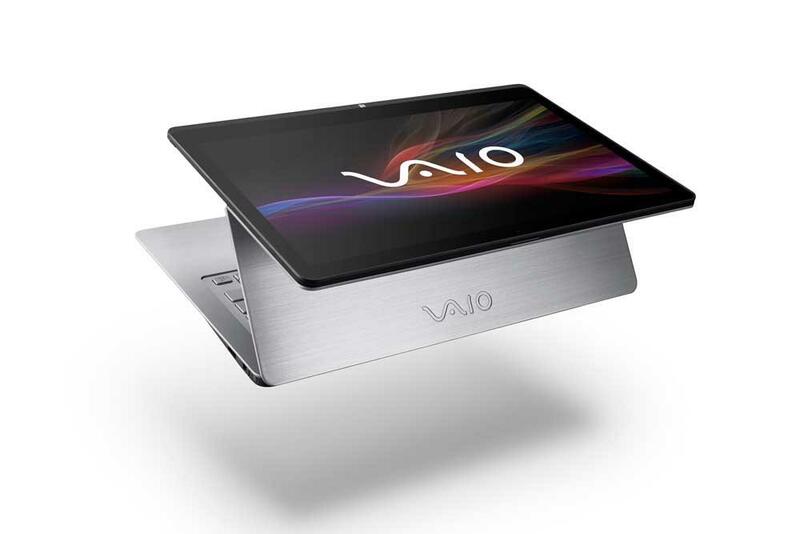 Along with USB 3.0, USB 2.0, HDMI, and an SD card slot, the Vaio Flip 13 includes an additional USB 3.0 port in the power adaptor brick. As expected, the Flip line will run Windows 8. 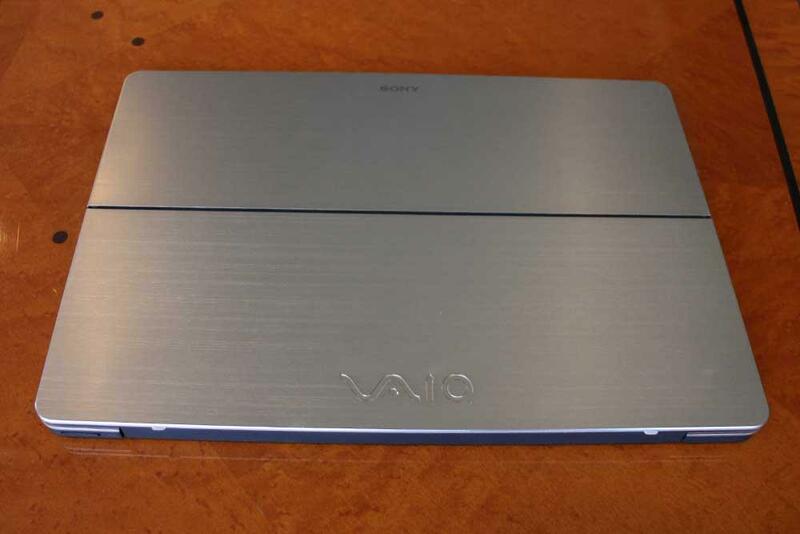 Sony will also sell an optional Active Pen for using the Vaio Flip for drawing with the included ArtRage software. There’s no word on pricing yet, but we expect to hear something in the coming weeks, so stay tuned.